What Are the 10 Most Polluted Rivers in the World? The solution to pollution is dilution. This has been the mantra of people who would like to think water pollution can be avoided simply by adding enough water to the muck. The trouble is, there are too many people and too many factories in the world and not enough fresh water. In fact, one of the world’s biggest problems is a lack of clean drinking water. Then again, these rivers could simply be cleaned up. The following article lists the ten most polluted rivers in the world. It may not include the worst, who’s to say? But all of these waterways are objectionably dirty, some of which so incredibly filthy you have to wonder why anybody would even go near them, much less drink from them. Yet people do so, as they must, because they have little or no choice. Located in the Buenos Aires Province of central-eastern Argentina, the Matanza-Riachuelo River (MRR) has been nicknamed the Slaughterhouse River, because many slaughterhouses and tanneries line its banks and, tragically, dump their effluent into the river, polluting this short waterway with various toxic chemicals, particularly heavy metals such as arsenic, chromium, mercury, zinc, lead and copper. Raw sewage and household garbage are also added to the mess. In 1993, President Carlos Menem presented a project designed to spend $250 million to clean up the river, but only one million was spent to rid the river of industrial wastes. Tragically, much of this money was allocated to other projects and/or pilfered by politicians. 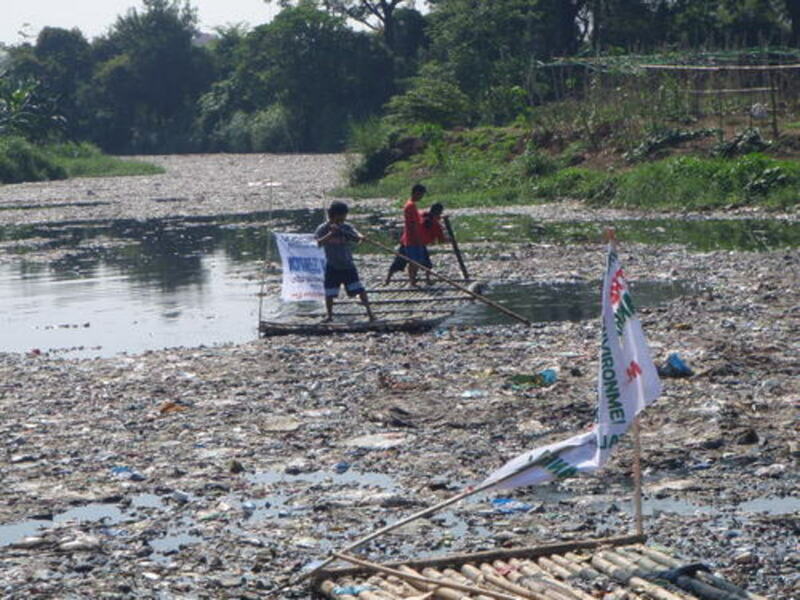 Therefore, as of December 2013, the MRR remains one of the most polluted rivers on the planet. The Cuyahoga River is famous – or infamous – for having caught fire numerous times since 1868, most recently in June 1969. 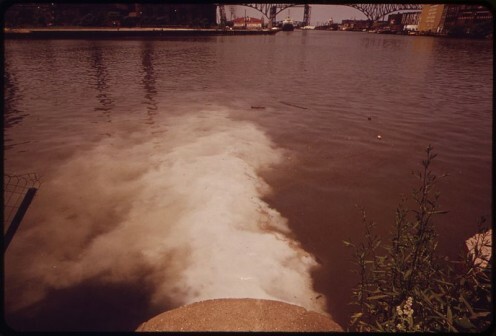 Flowing through the Cleveland, Ohio area, the Cuyahoga River, because it runs through a congested urban environment, has been subjected to numerous forms of pollution, particularly industrial waste, which has made it flammable at times. Interestingly, the plight of the Cuyahoga River helped promote in the late 1960s the ecological movement across the U.S., whose motto was “Ecology Now.” This joint fervor led to passage of the Clean Water Act of 1972. Not quite so polluted these days, since some species of aquatic life can actually survive in it, the Cuyahoga River nevertheless remains one of 43 Great Lakes Areas of Concern, as it empties into Lake Erie, once a very dirty body of water as well, though it supports fisheries of note. Also known as the Old Ganges, the Buriganga River in Bangladesh, one of the world’s most densely populated countries, suffers from just about every type of pollution imaginable: chemical waste from textile mills and factories of all kinds, domestic garbage, rotting fruit and vegetables, medical waste, sewage, dead animals, plastics and petroleum. In fact, the city of Dhaka dumps 4,500 tons of solid waste into the river every day. The sewage dumped into the river is a major problem as well, as about 80 per cent of it is untreated. These days, particularly near Dhaka, a city of 10 million people, the Buriganga River emits a foul smell and no aquatic life can survive in it. One way to clean up the river at least somewhat would be to increase its flow of water, but this option will be difficult since the glaciers of the Himalayas, which feed the river, are shrinking due to climate change. Of course, a better option would be to stop dumping garbage and various poisons into the river, although this option will be very costly. 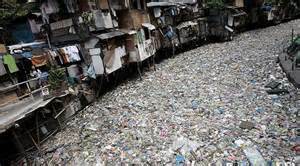 The Marilao River flows through the Bulacan Province in the Philippines and eventually empties in Manila Bay. The river suffers from various forms of pollution from tanneries, textile factories, piggeries, gold refineries and municipal dumps. The high levels of toxic chemicals and heavy metals in the water are particularly worrisome, as they present a major health hazard. In fact, in places, the water in the Marilao River contains virtually no dissolved oxygen, negating aquatic life to a great degree. Therefore, the Marilao River is considered one of 50 dead rivers in the Philippines. Fortunately for the people of the Philippines, Greenpeace has been studying the problem of water pollution in the Philippines and produced the report “Hidden Consequences,” which could at least focus attention on the problem and perhaps persuade the Philippine government to generate funds for clean-up of the Marilao and other filthy rivers in this Pacific archipelago. In a continent where most if not all the rivers are polluted, the Sarno River in southern Italy, near Pompeii and Naples, iis widely considered the most polluted river in Europe. The upper reaches of the river near Mt. Sarno are nearly pristine, but the lower one travels in elevation, the more polluted the river becomes, until it’s covered by oily scum and chemical foam. Fouled by industrial and agricultural wastes and plenty of urban garbage, the Sarno River is considered the primary source for polycyclic aromatic hydrocarbons (PAHs) in the Bay of Naples. Interestingly, PAHs are the greatest source of organic pollutants. 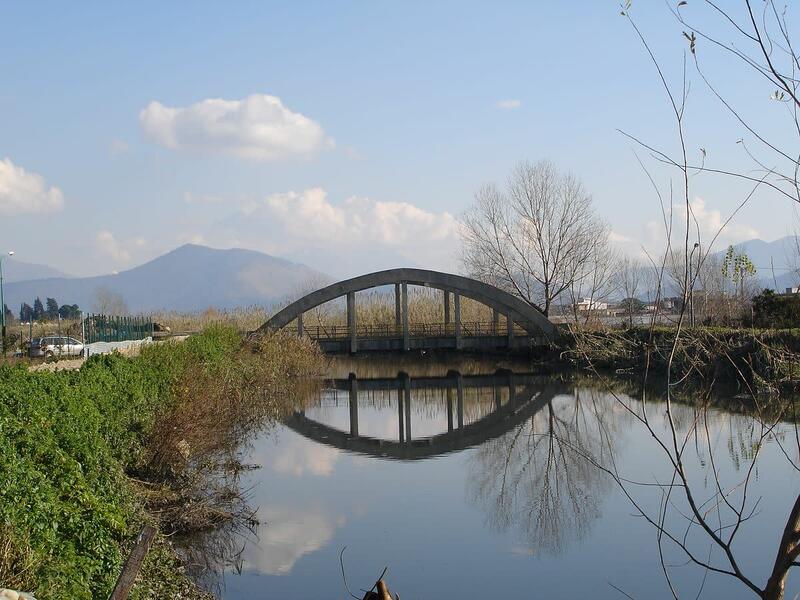 Encouragingly, Italy plans to clean up the Sarno and other rivers in the area. In fact, remedial dredging began on the Sarno River in the early 2000s, so perhaps at least some of the pollution will be mitigated, if not eliminated, in the coming years and decades. 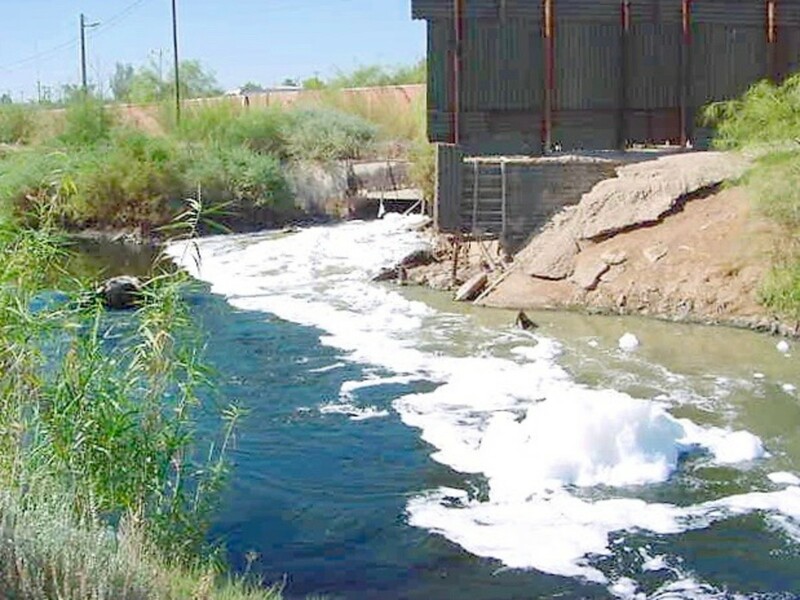 Pollution of rivers is also widespread in the United States. 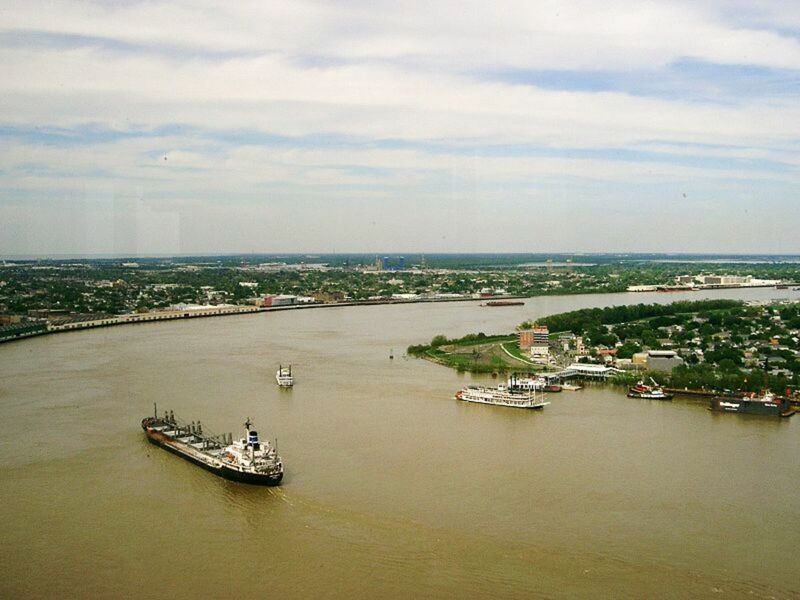 The mighty Mississippi River, also called the Big Muddy, because its waters are generally brown, mostly from sediments. But the Big Muddy holds much more than mud, for its level of pollutants is great. In fact, it is sometimes called the Colon of America. 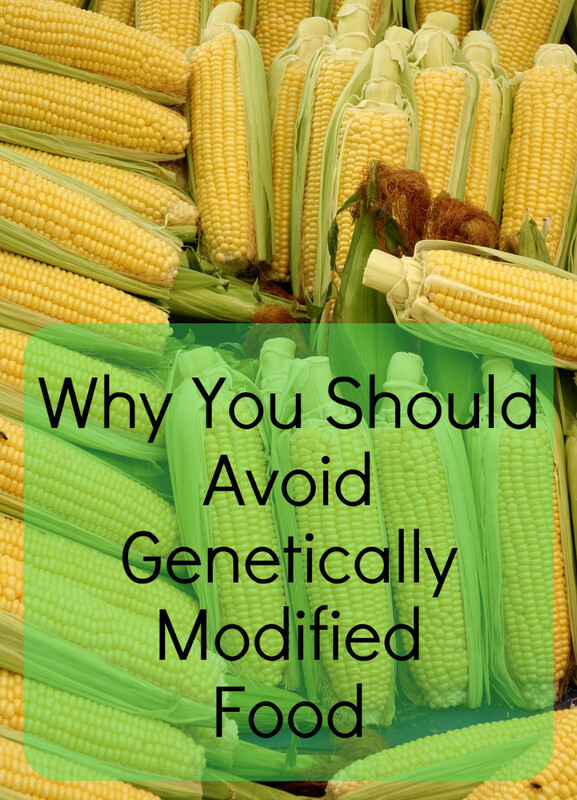 In addition to sewage, perhaps the worst pollutants in the river are agricultural in nature. At the mouth of the Mississippi in the Gulf of Mexico lies a so-called Dead Zone of 6,000 to 8,000 square miles. This has been created by the Mississippi’s high amount of nitrogen-based fertilizer run-off, which upsets the food chain, creating very low oxygen levels in coastal waters. Green advocates hope to cleanse this impressive river by urging the U.S. Environmental Protection Agency to include agricultural run-off - particularly nitrogen and phosphorus pollution - under protocols set by the Clean Water Act of 1972. But the federal government wants the states to act first, so we’ll see how this scenario unfolds. The Citarum River, located in West Java, Indonesia, flows through a basin populated by millions of people using the river’s water for drinking, fishing, agriculture and industrial applications. The problem is, thousands of factories line the river and routinely dump their waste into it, turning the water various ugly colors. These factories are supposed to clean the water after they use it and dump it back into the river, but this process is rarely done and violators rarely prosecuted. Shockingly, the Blacksmith Institute has declared that lead pollution in the Citarum River is 1,000 times the acceptable level as set by America's Environmental Protection Agency. 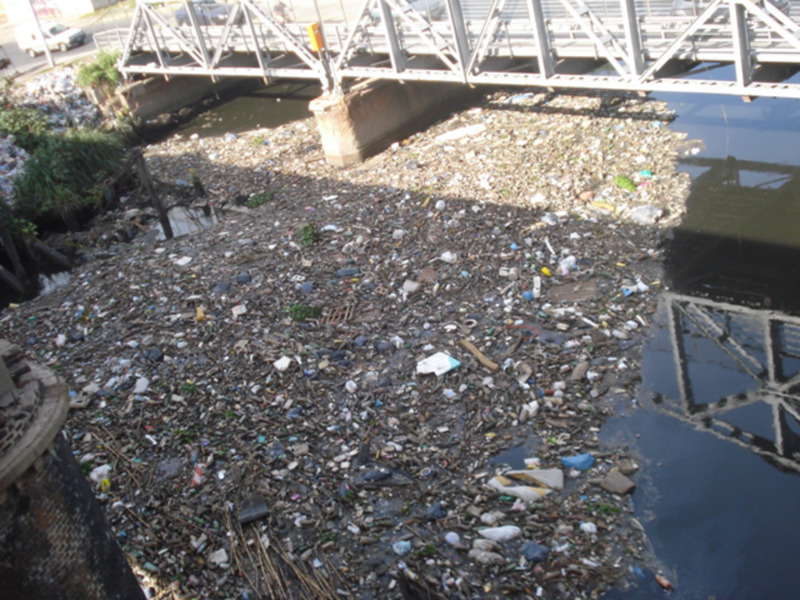 Because of this ecological catastrophe, the Citarum River is considered by many to be the dirtiest river in the world. In current times, the Asian Development Bank has loaned Indonesia $500 million over 15 years to help clean up the Citarum River. But, since so many people and industries use the Citarum’s water, cleansing it may remain more fantasy than reality, unless billions rather than millions are spent on clean-up. The Doce River, which means “sweet water,” runs through southeast Brazil for 853 kilometers, providing much needed fresh water for the largest steel making region in Latin America. Unfortunately, in November 2015, location Mariana, two containment dams ruptured, spilling 60 million cubic meters of iron ore sludge into the Doce River, killing at least 17 people and injuring scores of others. This sludge is so loaded with heavy metals that the aquatic life in this once sweet river has been destroyed and may never return to normal, devastating the lives of numerous fishermen. Many people use the river for drinking water as well; now they must drink bottled water for months, years, who knows how long. BHP Billiton, the world’s largest mining conglomerate, which built the aforementioned dams, has been sued by the government of Brazil for $5 billion. But who knows when or if the Doce River will ever be cleaned up after this ecological catastrophe, one of the worst in world history. 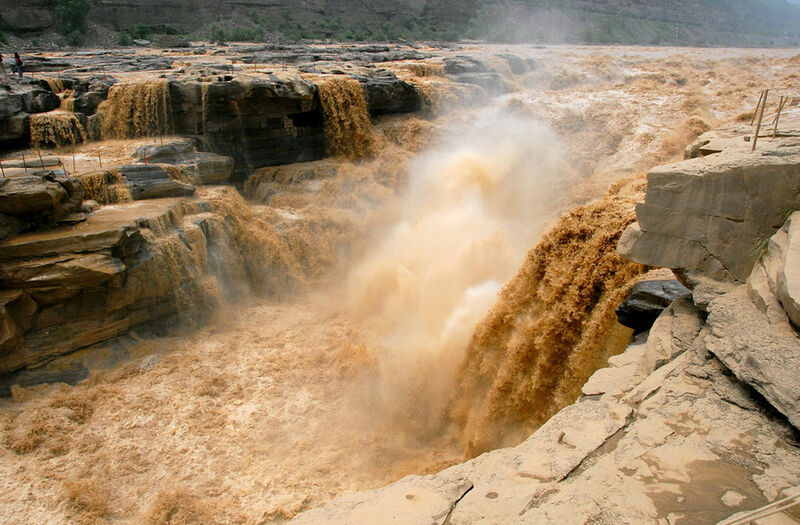 The condition of the Yellow River, whose water is filled with a yellow sediment known as loess, hence its name, is essential to the well-being of China, though at times the river has flooded, killing millions of people. These days, the river is troublesome in another way: The water in it is so egregiously polluted that it’s unfit even for agricultural use. In fact, in any given year, more than four billion tons of sewage is dumped into the river. And, as China continues to industrialize at breakneck speed, the Yellow River has become a toxic waste dump, turning river water colors other than yellow, at the very least. But there are environment activists in China who would like to clean up the Yellow River. Green Camel Bell, established in 2004, is dedicated to the improvement of declining ecosystems in western China. This group, however, will do little more than educate people. The Chinese government must stop cities and industries from dumping waste into the river, then perhaps the color of the Yellow River will return to its former color. The Ganges River, the most sacred river in Hinduism and the third largest river (by discharge) in the world, holds water that can purportedly cleanse people of sin. Many Hindus think the river’s water is so healthful they actually drink it as if it were an elixir. Be that as it may, the importance of the river cannot be overestimated, as it affects the lives of 400 million people who live near it. 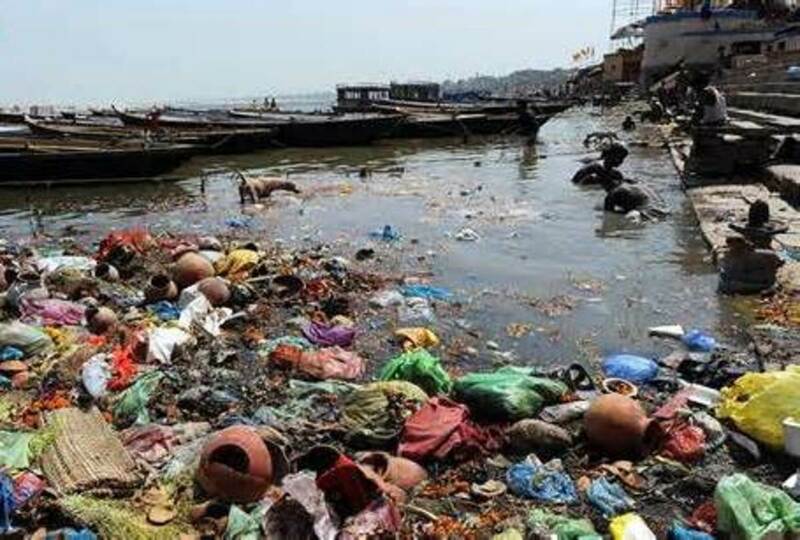 Unfortunately, people dump their waste into the Ganges as they use it for drinking, bathing and cooking, giving rise to many water-borne illnesses. In fact, people who can’t afford cremation throw corpses into the river. It’s hard to imagine a filthier river than the beloved Ganges. Nevertheless, attempts are being made to clean up the Ganges River. The Ganga Action Plan, began in 1985 and considered one of the greatest efforts to clean up a polluted river in the world, has been an abject failure because it’s vastly underfunded. 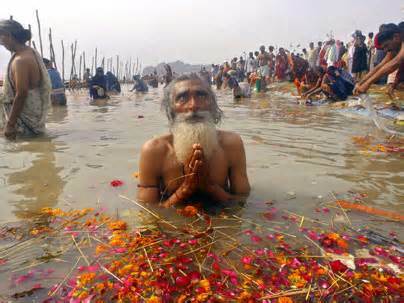 Still, this is a start, and everyone should hope the Ganges River runs clean again. Do any of the most polluted rivers in the world show any improvement nowadays? I haven't seen improvement in any of them. Which river is the most polluted in the world? My article says the Ganges is the most polluted, and it still appears to be in that state. No, it's near the southern tip of Malaysia in Southeast Asia. Is the Kelani River in Sri Lanka safe to drink from? I'm sorry, you'll have to do your own research. How Bad Is Water Pollution in America? I live in Bangladesh. people literally use the name of Buriganga as a slang here. @dacoda its not gross or "ewwwwww" to them its just apart of their life and its their ways of being its not eww or gross its just different!!! Oh my god!I drank ganges river's water a few days ago.I didn't know it's most polluted river!Wow! One day the Ganga will be the cleanest river in the world. Thanks for the comment, Angel Guzman. This article has been very popular and I'm very happy about that, even though the subject matter is troubling. Later! We are killing our own race...soooo sad. My daughter moved to Mud Island on the Mississippi River. While I was there we watched many amazingly beautiful sunsets over the river. I began research to find out why it was so muddy and came across this most disturbing and sad article. I would love to see a documentary made of the world's most polluted rivers also something like this should be posted on all social media outlets possible from Facebook to print. I was amazed that the US has 2 of the top 10 most polluted rivers in the WORLD. That combined with our leader's policy on the environment is disgraceful. Thank you for sharing this information!! This is so sad. This is one of the reasons why Recycling is so important! 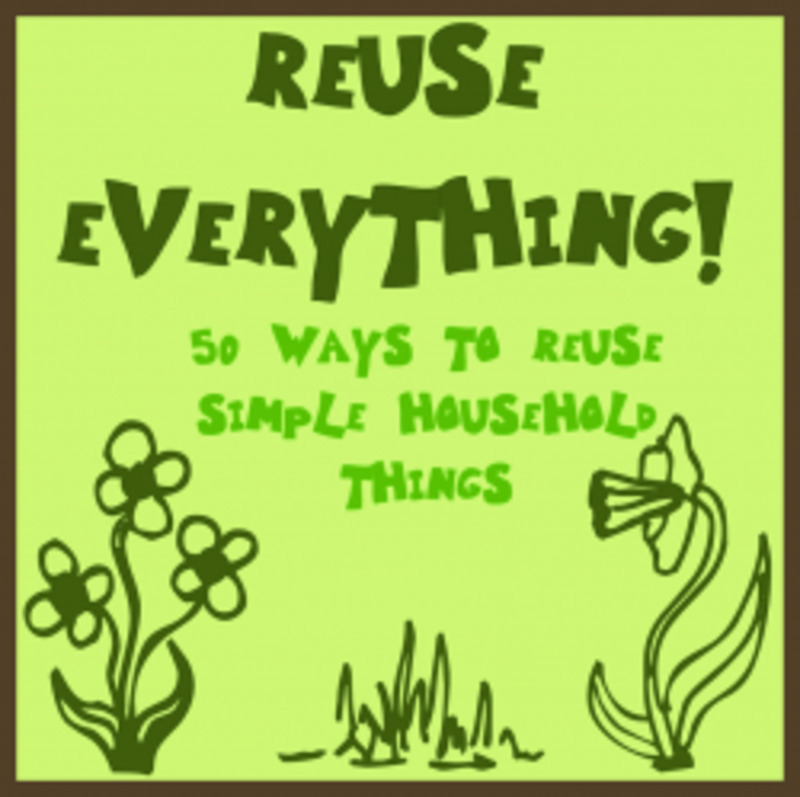 It helps reduce the amount of waste and the amount of raw materials used. 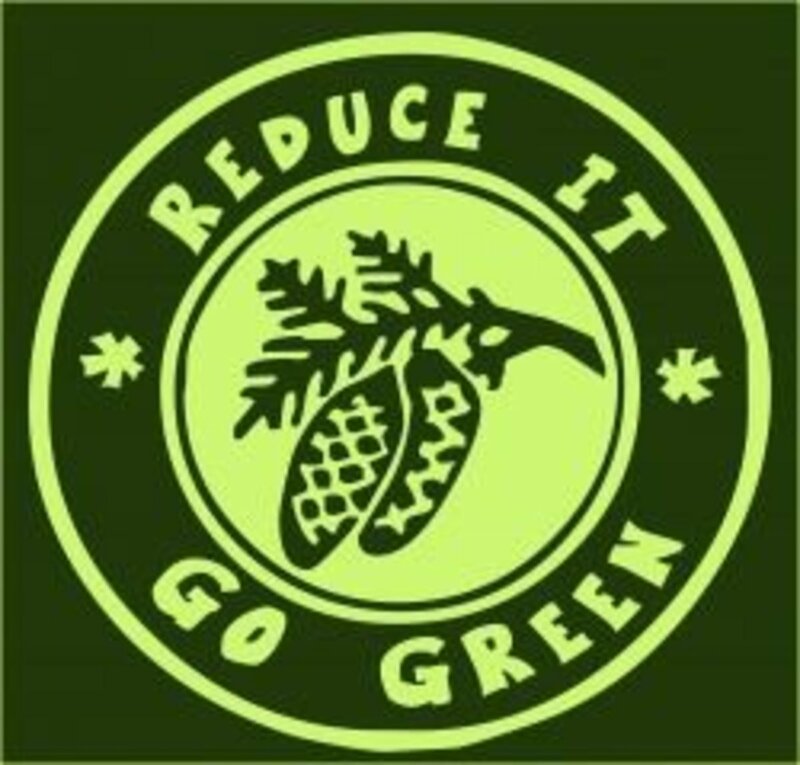 Save the earth by recycling, one thing at a time. There are no your or mine rivers. They are everybody's resposibility all the human beings. If you lived there you would be doing the same thing as they are doing and then somebody else in your place would be saying 'I am keeping my rivers clean so go and keep yours'. Its serious and worrisome to say. Although the articles named 10 rivers as top polluted, the list includes all rivers, especially in developing countries. Pakistan is not an exception where all pollution eventually ends up in rivers. Hotels in tourist spots along rivers connect their sewerage line with river. Thanks to bad governance because there is no one ready to own water bodies. Rivers are orphans stand nowhere in the list of public priorities. Lets work together to start awareness campaign (as this article does) first and then gather like-minded civil society groups for ensuring collective efforts to cleanse our rivers - the source of life for all species. The world is overpopulated with humans. Need more birth control and education for women. Why do religions ignore this problem? The Pope himself said the world looked like a garbage dump on his last tour, but yet he is against birth control. We are killing off all our wildlife, polluting our oceans and rivers, damaging our topsoil, chopping the rain forests down for palm oil plantations. It is disgraceful that the human species, who is supposed to be the most intelligent species on earth is destroying it's own habitat. This makes my heart cry! i cant belive that a river can catch on fire!!!! I am doing reserach for a school project and this list was very helpful. 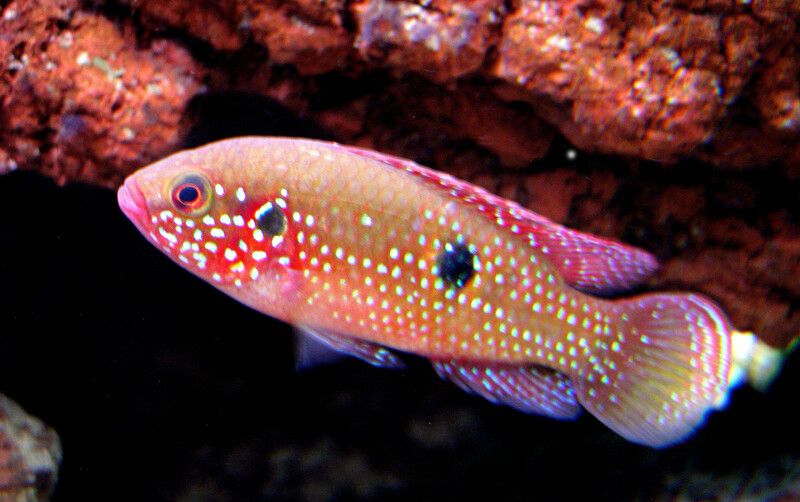 I agree with Liz it is sad its like people don't even care about the water and its sad for the sea animals I mean they are a breathing and living thing just like use so if you want to live with dirty water and keep dumping waste into the water think about the lives of fish you are killing people that is stupid and hateful it is so if you want to keep dumping waste think about the chance of death for your love ones and make sure the 90% turns into a 1% chance for death or cancer so if I were you I would think twice. I hope you get inspired from this comment and you better think twice ok people if you agree please comment. Wow that is so sad to see how much people have destroyed nature. Not to mention all the poor people who can't afford to have the water cleaned, which gives them a horrible illness. I hope people will be able to save the rivers, the people, and also the poor living creatures in the water. i really feel bad to see the ganges river in a bad condition as i am an indian.we should take steps to solve these consequences around the world. Polluted rivers are not cheap and easy to clean up Gary McNeish, unless you can find many volunteers who will help remove the trash. The water will have to be purified as well, and the toxic sediment dredged away. And, of course, removing places of contamination would be very expensive. Otherwise, people would simply do it right now, wouldn't they? Any waterway, pond, lake, river etc, that is polluted with sewage can be cleaned with very little cost and no energy. The waters in this artical are very dirty but quite simply so people do not get sick from bathing, drinking and smelling the fumes of them waters is to chlorinate the waters the ones nessasary with clorine basically the only dirty parts of the rivers will be the plastics decaying carcases and other industrial matter. Its really sad to see those once beautiful rivers destroyed. The human race is a disgrace. Since human developed cities and industries the modern life style has changed. Man has been using the misusing natural resources up to the limit. Loved this artical, I didn't even know half of these rivers existed! Every bit of knowledge will do us good! Really interesting hub! It would be awesome to see these images in full size! Thanks for the comment, Stella Kaye. Everybody should worry about the health of our precious rivers. Later! With the recent news that the Hanford Nuclear Reservation has been leaking more and more stored waste, as more and more waste containers decay, the final resting spot for the heavy metals, and nuclear materials has ended up in the Colombia River, bordering WA, OR, ID states and source in British Colombia, making it possible the most polluted river in the world. Adding this to the already advancing high level waste from Fukushima, Japan...the coastlines of WA and OR are going to be very radioactive soon....as the river empties at the borders of both states into the Pacific Ocean. Yes, I feel it's down to writers like us to educate people as sometimes they just don't see the consequences of their actions! Thanks for the comment, Stella Kaye. You're right about the fact that polluted rivers create polluted oceans. If only people would wake up! Excellent article. 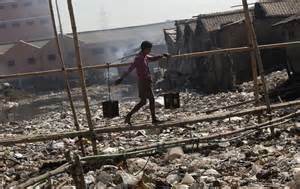 I recently watched a documentary on the Citarum River and it's amazing how many people just don't see a connection between the rubbish dumped into rivers and the diseases they get. They also overlook the fact that if the world's rivers are polluted then it will only be a matter of time before the oceans are too. Thanks for the comment, Jacinto. According to my research, the Ganges is one very polluted river. Maybe it isn't the worst in the world, but it certainly belongs in the top ten. Later! The Ganges River is special. People ad that waste to the water because is not only the biggest river IN THE WORLD but it is also an special river full of amazing minerals that automatically clean the water itself from contaminets. While the end of the river looks polluted, the river is connected with another river where people can see the amazing clarity and purity of the Ganges River after coming Down from the mountains. Yes it is sad it is polluted but no health issues or outbreaks has been reported, unlike many people who drink tap water process by plants. Lol. Also we need to contribute this not to people it to corporations that change their habits contributing to pollution, back in the times we didn't have plastic, paper cups, we had glass, everything was hold on glass, or terracota vases. People didn't pollute, corporations did by changing people's ways of living for their profits. People should educate themselves a little before making remarks. But that's what I think. They should watch the documentary of Ganges River, it is amazing. Thanks for the comment, vrdm. Fortunately, many people like this article. It seems polluted rivers make an interesting story. Later! Just search for Brazil Mud desaster and you will see. This happened two months ago. The river was clean and full of life before that. It was probably the biggest environmental disaster of a river of all times, in the world. Ricardo, I'll have to check out the Doce River. If it's as bad as you say, it probably should be on this list. Maybe I'll add it. Later! You can updated this list with the Doce River in Brazil, that was recently polluted with more than 65 millions of liters of mining metal rejects and killing all forms of life for 400kilometers. 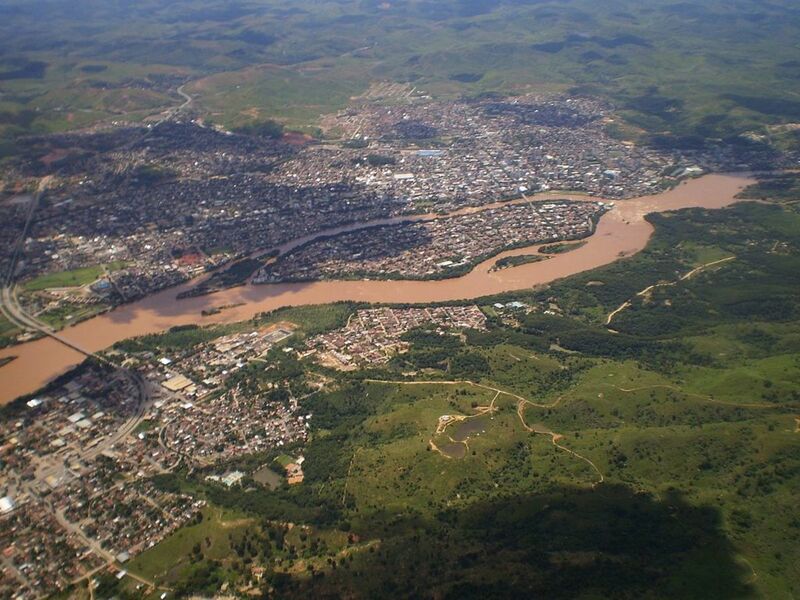 There's no river more poluted than Doce River (in extension and proporcionality (100%)). i think this is amazing it helped a lot of students including me !!!!!!!!!! Thanks for the comments, CMHypno and RonElFran. It will take vast amounts of money to clean up these rivers. The U.S. and China have the money to do so, but I'm not sure about the other countries. Let's hope they all do their fair share of clean-up. Later! The photos you include really give a sense of the depth of the problem. I'm really sorry to see our mighty Mississippi on the list! Thanks for the comment, CWanamaker. Everyone should learn more about the polluted rivers of the world, because we're all responsible - to a certain extent. Later! This a sad reminder of the devastation that humanity can cause. Thanks for raising awareness on the subject! Thanks for the comment, Hackslap and fordie. I agree with fordie that China may clean up its rivers before India, but both countries need to begin a major clean-up sooner rather than later. Bye!